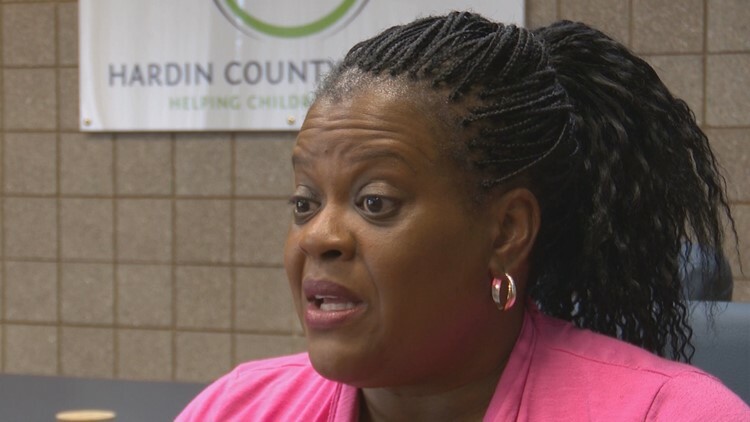 Lynette Kennedy is looking to help families in the school district with their new pilot program, targeting homelessness. LOUISVILLE, Ky. (WHAS11) – Taking a drive through some Hardin County Schools, by the chalk left on the sidewalk, you’d never know some of their students and families are in crisis. In the roughly 22 schools, elementary through high school, Lynnette Kennedy says there are some families who need more help than others. “We have seen about 15 families who have came forward for assistance with this,” she said. For those families, Kennedy says, homelessness looks different. “Any family who is basically staying in shelters, who are doubled up staying with [other] families cause they can’t afford their own places – [those] who are staying in cars [and] who just don’t have a place to stay,” she said. Outside of helping families directly, Kennedy also helps 17-year-old students aging out of the foster care system. “Most of them are scared. They don’t want their own place. They’ve never had their own place – they don’t know what that looks like,” she said. The kids don’t necessarily have immediate family or a backup on what to do next and that’s where Kennedy steps in. “We have stepped up and said, ‘we will help you!’ We will help you sort through that – basically, I’m like the coach. I’m helping them get through this saying, ‘you can do this’,” she said. For many of the homeless, Kennedy says that she is their liaison, their best friend, and their family. Kennedy says the program to help the homeless students and families is a pilot program and they have a lot of things to work out. She is helping families with child care, housing, getting social security cards and anything else they may need.